Made from galvanized mild steel, the Westin chrome Signature nerf bars are three inch tube steps that will enhance the look of your vehicle while giving you the function you need! 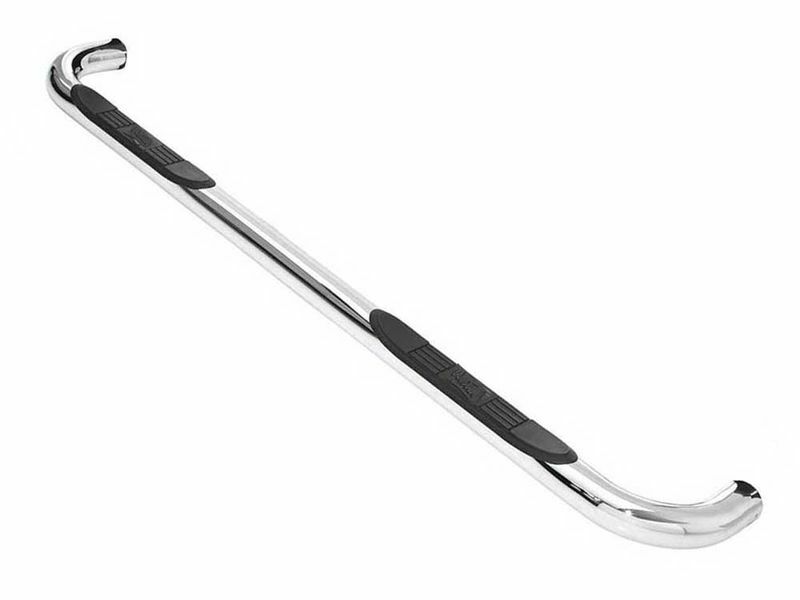 Being the first out the of gate, the Westin chrome Signature 3" step bars have a recessed step pad that give you extra grip and traction when getting in and out of the cab of your pickup truck, sport utility vehicle or crossover. The three inch tube design not only gives you an easy way to get in and out of your vehicle, but the installation is simple as well. The bolt on application is designed with no drilling required. Westin is able to do this because they custom fit each pair of nerfs to the year, make, model, and cab size of your truck! Additional features include UV resistance, mount kit inclusion, and the recessed mounted step pads!